The new Can Pizza Sagrada Familia adds a quality dining option to one of Barcelona’s most-visited areas. When I moved to Barcelona over 20 years ago, my first apartment looked out onto the blessed construction site of la Sagrada Família. My shoebox-sized attic had no elevator, no heating, a thin corrugated roof that amplified the ceaseless scratching of the pigeons overhead, and a deathtrap slant of a broken-bricked terrace. But the view was great. It is almost certainly a tourist apartment these days, its gimlet-eyed, penny-pinching landlady – or more likely a spiritual successor – reluctantly welcoming airbnb tenants through a fake grin of gritted teeth. Back then, the neighbourhood streets were busy but not crammed; the shops sold everyday goods, not souvenirs; and the restaurants were run by locals who still kept alive the flame of begrudging Catalan hospitality, scowling in the traditional manner as they served fantastic set menus for a fistful of pesetas. I loved the area. I still live around there today. But time and tourism have changed much. Some things are worse: heaving crowds now pack the streets around Gaudí’s creation and the restaurants, the restaurants, well… let’s just say that local microwave-oven repairmen are probably kept very busy. Some things, however, are better – and Can Pizza is one of them. Can Pizza? Yes, it can. This new addition to the neighbourhood is a spin-off from the original Can Pizza in the unarguably non-touristic town of El Prat de Llobregat and a couple of other out-of-city locations. After earning acclaim with their slow-fermented dough, wood-fired ovens and quality ingredients, the owners quite reasonably decided they would like to earn some money too, and set up in October 2018 in Barcelona. Can Pizza Sagrada Familia is a big, glass-ceilinged, red-and-white-themed space set on a busy alleyway of bars and restaurants. The red-and-white theme continues to the menu, where the pizzas are divided into with and without mozzarrella, plus a selection of classics. Don’t expect Neopolitan minimalism: these are pizzas made for local tastes, and as such tend to be heaped with ingredients. Fortunately, they aren’t culinary dustbins: while I generally prefer to let the base do the talking when it come to pizza, the generous piles of first-rate toppings are tastefully combined. Other than on the Hawaiana obviously. There’s no excuse for pineapple. There really isn’t. Can Pizza’s superb dough certainly doesn’t need to be disguised. After a 72-hour fermentation and a quick blast in the wood-fired oven, it is worthy of centre stage. We didn’t have starters, but those we saw looked good. The pizzas are filling enough but for the sake of a complete review we pushed on and had a tiramisú, which despite the hipster presentation in a jam jar was extremely lovely in a gooey, boozy tiramisú way. Salads, carpaccios and other starters are in the €7-10.40 range. Pizzas are €8.50 to €13.50. Desserts are all around €5. Drinks are sensibly priced (think €3.50 for a glass of house wine). Can Pizza is very welcome. It’s a genuinely excellent place to eat in a neighbourhood where mediocre tourist traps proliferate. Don’t fall into them: come here for fast food made with patience. 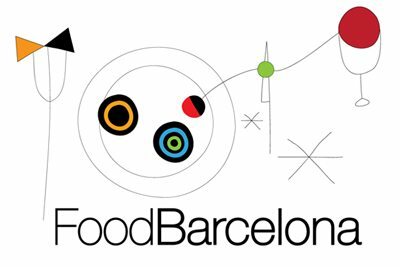 Find Can Pizza Sagrada Familia on the FoodBarcelona restaurant map. That looks a decent pizza. I could be wrong, but I seem to remember la Sagrada Famillia being free back then!